I fell in love with yoga after attending my first class in 1998. Yoga soon became a big part of my life, and when I became pregnant with my daughter in 2003, my prenatal yoga classes were my favorite part of my week. Inspired by my own birth experiences and my experiences as a mom of two, I soon discovered that my path was to share my passion for yoga, movement and birth with others. 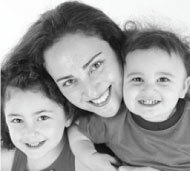 Since then, I have devoted my life’s work to supporting families during pregnancy, birth and beyond. Both of my kids suffered from Reflux and Colic and had rough starts. After trying many methods for soothing them, I found myself automatically putting them into yoga postures that I knew worked for me and it seemed to give them relief and calm them down. That’s when I started doing some research and found Helen Garabedian’s Itsy Bitsy Yoga® program. 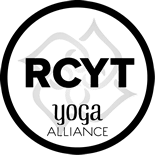 I completed Helen Garabedian’s Baby, Tot, Tyke and Little Family Itsy Bitsy Yoga® training in 2008 and Blossoming Yogis was born with the intention of sharing the benefits of yoga with kids of all ages and their families. I attended the Baby and Tot Itsy Bitsy Yoga® trainings with Helen in New Jersey in February of 2008 and the Tykes Itsy Bitsy Yoga training in Portland with Helen in October of 2008. 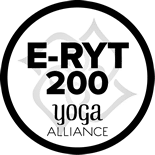 I became a Certified Baby and Tot Itsy Bitsy Yoga Facilitator in July of 2008 and became a Certified Tykes and Little Family Itsy Bitsy Yoga® Facilitator in January of 2009. In June of 2009, Anna completed a 200-hour Viniyoga Teacher Training program and began to study Prenatal Yoga, Postnatal Yoga and Couples Yoga For Labor with Colette Crawford of the Seattle Holistic Center that July. 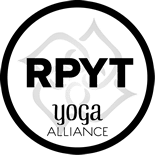 She started teaching Prenatal Yoga in September of 2009 and after over 150 hours of training with Colette, became a Yoga Alliance Registered Prenatal Yoga Teacher in 2011. Anna’s unique approach focuses on teaching expectant mothers to understand and trust the changes in their bodies and to empower them to have the strength, confidence and information to have the birth experience that they want. Because I love practicing yoga with my kids, I continue to grow my program as they grow. I completed the YogaKids® Foundations Training in April of 2010 and continued to learn more about teaching the YogaKids program through their Advanced Training program. 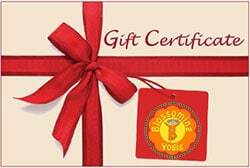 In 2014, I completed the Next Generation Yoga training for 2-7 year olds and am now certified to teach that program as well, earning the distinction of Yoga Alliance Registered Children’s Yoga Teacher due to the number of Children’s Yoga training and teaching hours I completed. I integrate elements of all of these programs, my knowledge of child development and anatomy, my experience as a mom, as well as my experience teaching kids of all ages over the years to offer fun and engaging classes which allow me to share the benefits of yoga with kids of all ages. I started Blossoming Yogis to share the benefits of yoga with families and kids of all ages and look forward to meeting you and your little (and big) yogis in class! Namaste!